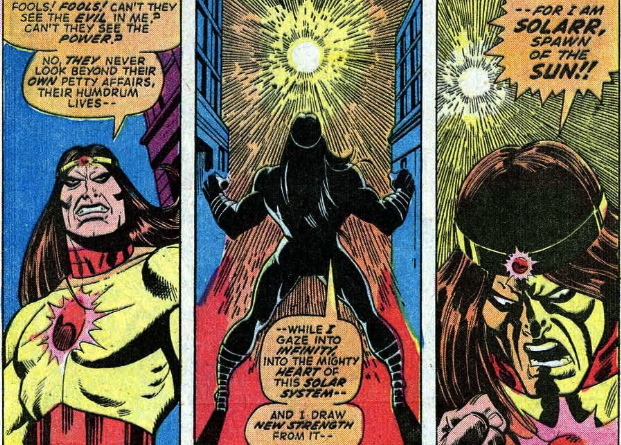 The first appearance of one my favorite b-villains: Solarr!! 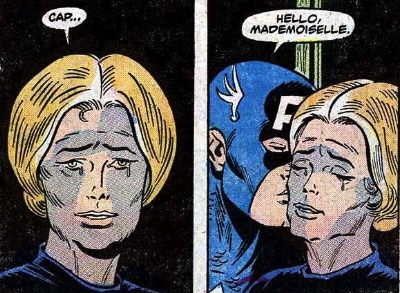 The return of Peggy Carter–Cap’s girlfriend from the old Simon and Kirby days. We learn that she’s Sharon Carter’s Sister here, but later she’s retconned as her Aunt because the age difference is clear.